Rembrandt in the National Gallery of Art [Commemorating the Tercentenary of the Artist's Death], National Gallery of Art, Washington, D.C., 1969, no. 48, 51, repro. The Pastoral Landscape: The Legacy of Venice, The National Gallery of Art, Washington, D.C., 1988-1989, no. 63, fig. 137. 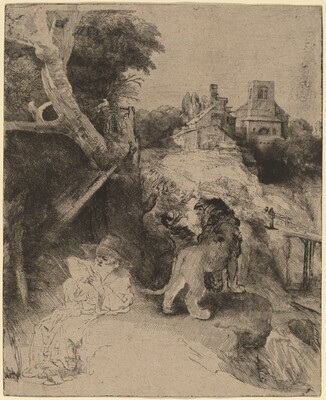 Schneider, REMBRANDT'S LANDSCAPES, NGA: 1990: no.43.